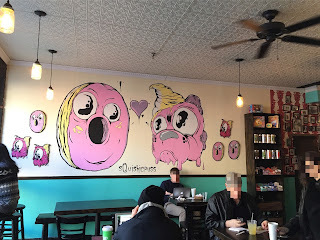 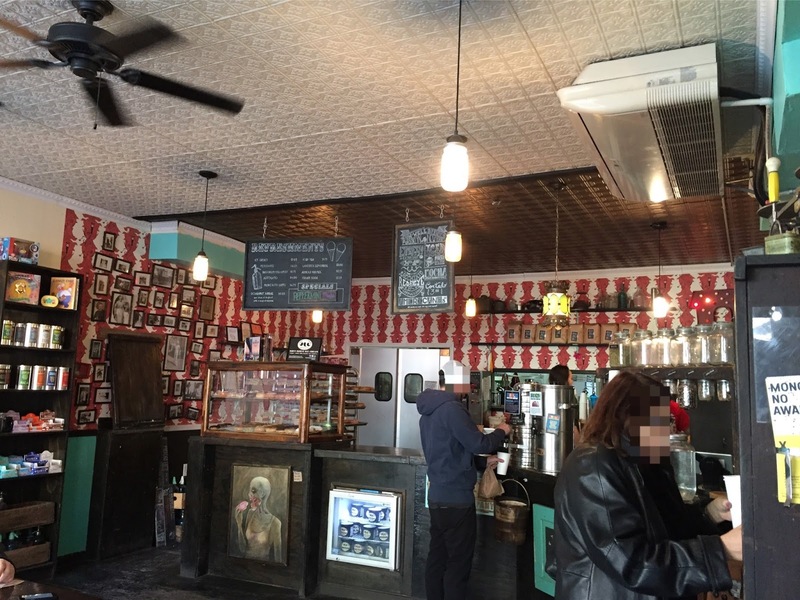 I went to Brooklyn to have breakfast with my friend from Japan, and I had some time before seeing her, I researched cafes near the restaurant we were going to, and I found Dun-Well Doughnuts near Montrose Station. Dun-Well Doughnuts was founded by 2 guys; Christopher Hollowell and Dan Dunbar in 2011 in Brooklyn, and their doughnuts are all vegan. 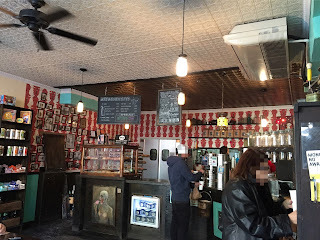 There're tables and a counter to eat inside. 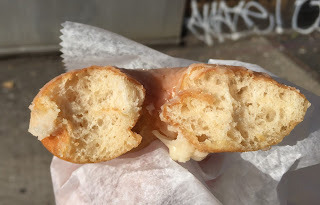 There're 3 types; regular (yeast), filled (yeast) and cake doughnuts. 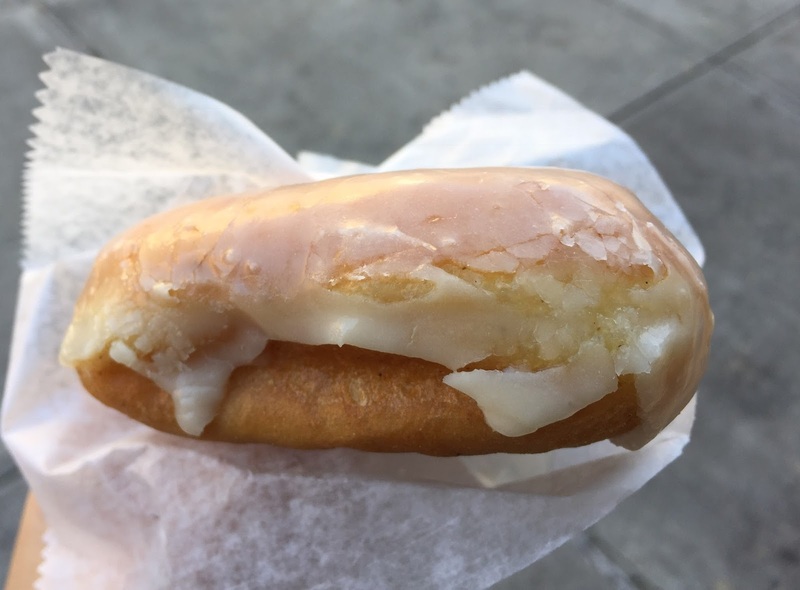 I chose a simple, Glazed Doughnut. The size of the doughnut was about the same as that of Krispy Kreme Doughnuts. 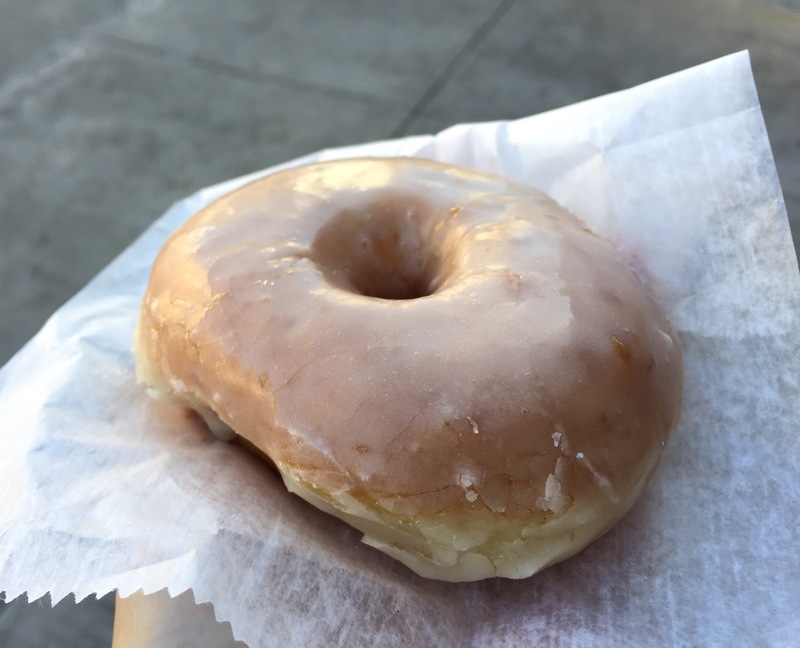 The glaze was poured thinly and it's light and fragile, and the doughnut was soft and airy but also had chewiness that is the characteristic texture of yeast doughnut. 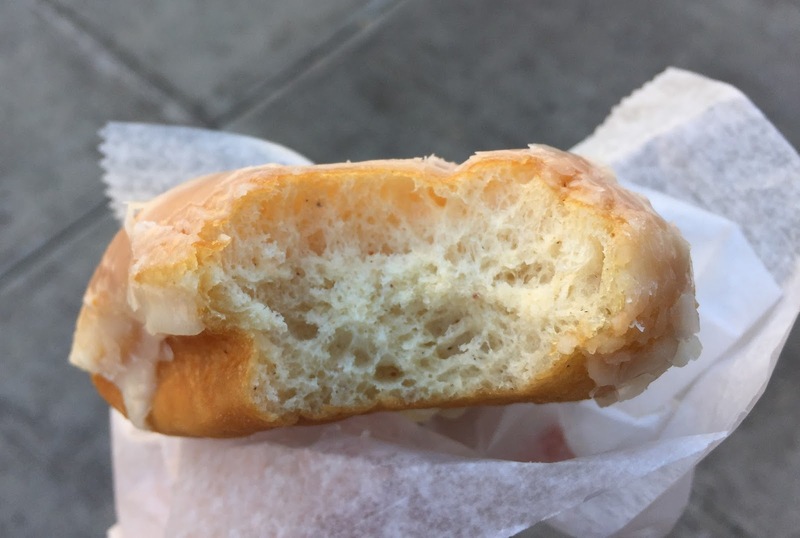 Wherever I ate, the sweetness was even and to the last bite, I could enjoy the soft texture. 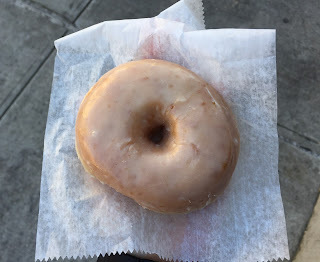 It's a very tasty doughnut that I couldn't believe it's vegan.